Would you like to be part of a fun, dynamic and challenging international environment where you get to work on the future of the online gaming industry? Then we are looking for someone exactly like you! As Technical Lead, you are responsible for the architecture of the teams’ applications, taking care of code quality and doing code reviews. You coach and mentor team members and drive knowledge transfer. You are consulting stakeholders for new projects, providing high-level estimates and designing solutions. Identify and troubleshooting performance problems in application. Every day, millions of customers worldwide enjoy our products on mobile, tablet and desktop, which makes us proud and drives us to shape the future of digital entertainment. With our own cutting edge technology and – most importantly – our smart, talented and committed teams we are creating the next generation of betting products. As a member of the GVC group, we aim to “let the world play for real”. 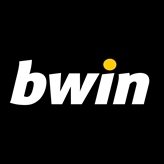 Want to get notified about new jobs at bwin (part of GVC Group)?